Make lot of mind-blowing changes to your current life with the help of pallets! There are damn easy pallet project that can meet you to very new functional trends of life costing you a bit of money! Here are we are going to summarize some extra smart DIY pallet ideas that will all make positive changes in your life! 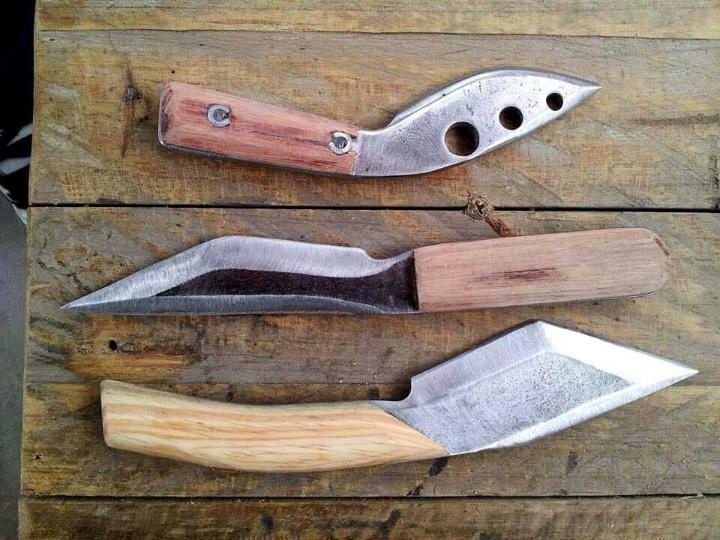 Use pallet wood remains or leftover to build knife and other tool handles, a way to repair your cutting and other useable tools! Smartly pack the single pallet lengths into outstanding media consoles, all you need in your media room! Go genius with pallet slats and also build the very comfortable outdoor benches like the given double chair benches that is having a built-in beverage cooler in the center! 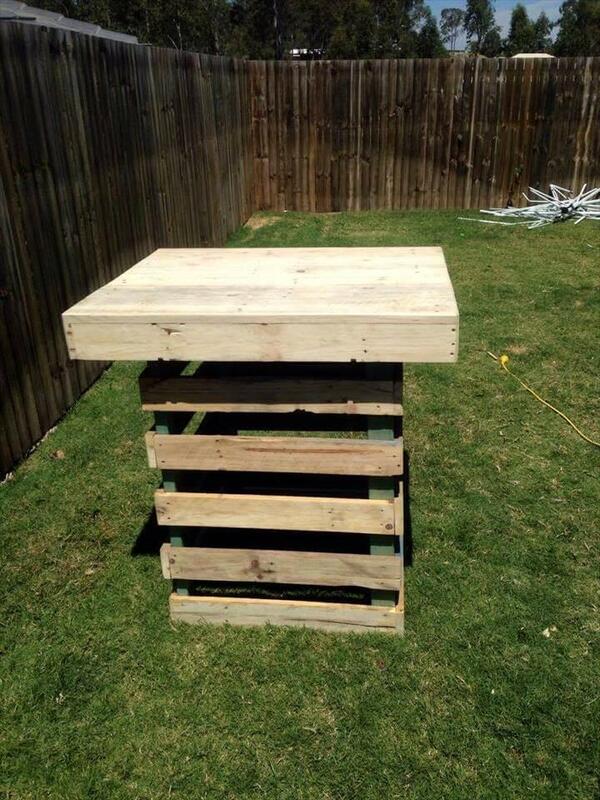 Build all types of tables you need with pallets! Install the precious vase stands or potting tables with pallets with great ease! Reinstall pallets into beautiful high top party tables that can be dragged to a friendly outdoor area for parties with friends! Recover also the amazing other items of need from pallet like the pet houses and dog kennels! See list of these ideas below! 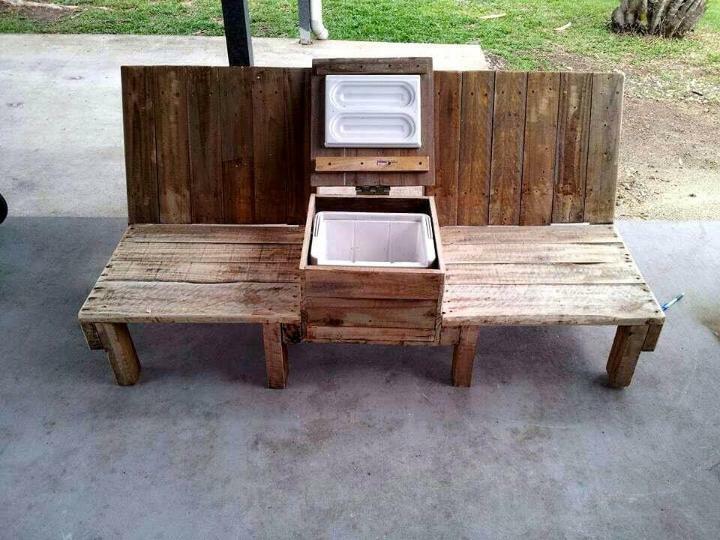 Lovely pallet part benches, will help to your keep your beverage in touch due to installed beverage cooler in the center! If not in use, the cooler is just an armrest! 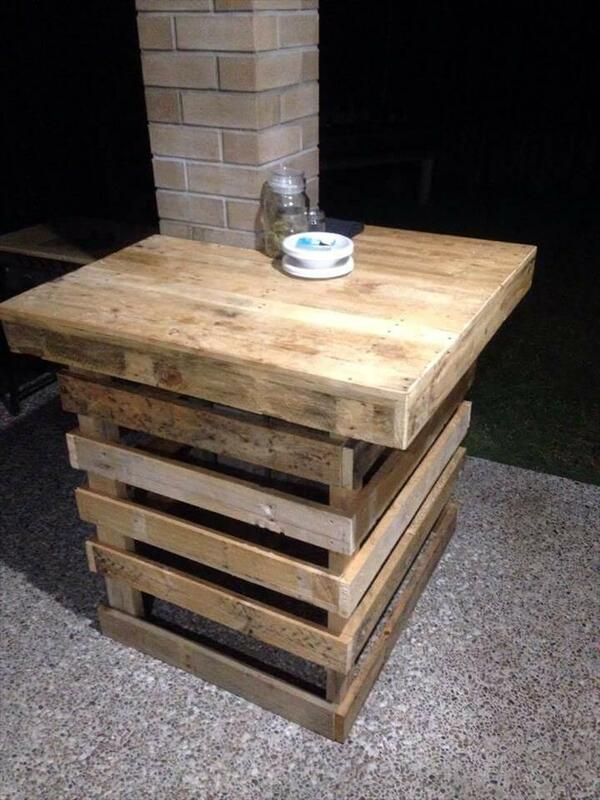 An ingenious pallet wood project! 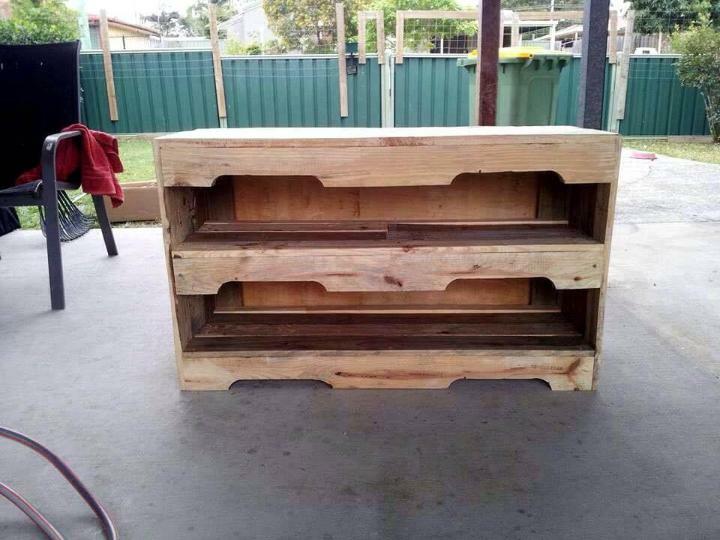 Build the lovely TV stands and media consoles with pallets! Take the pallets into pieces and reinstall them in bigger box shapes! Insert shelves with front stringer supports and enjoy beautiful and storage friendly media consoles! Build custom tables with pallets that are in your need-list, just like this beautiful high top table that fits best to a pillar! Again you are to use the slats of pallets for this! Revamp and repair your old tools especially and knife and wood carving tools by giving them new handles using pallet wood remains! 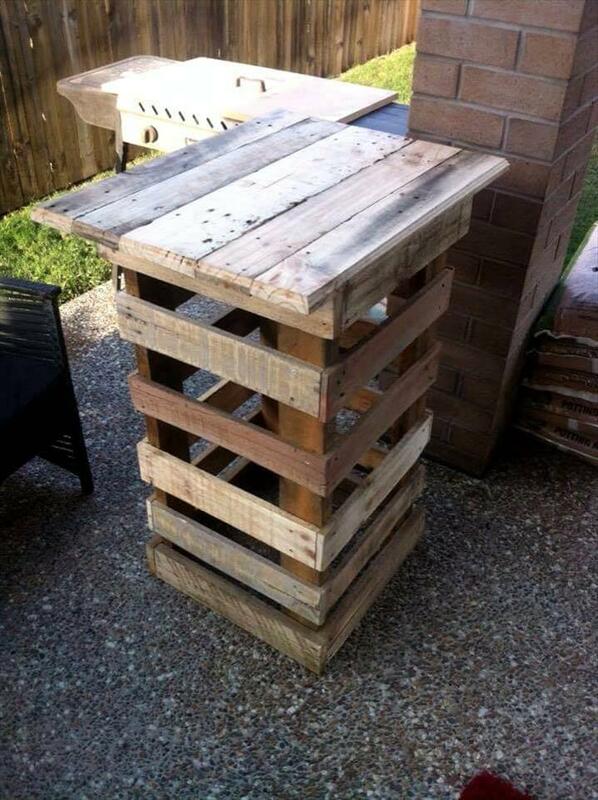 Best pallet table here made for the party lovers! High top will carry your beverage mugs on a friendly height level! 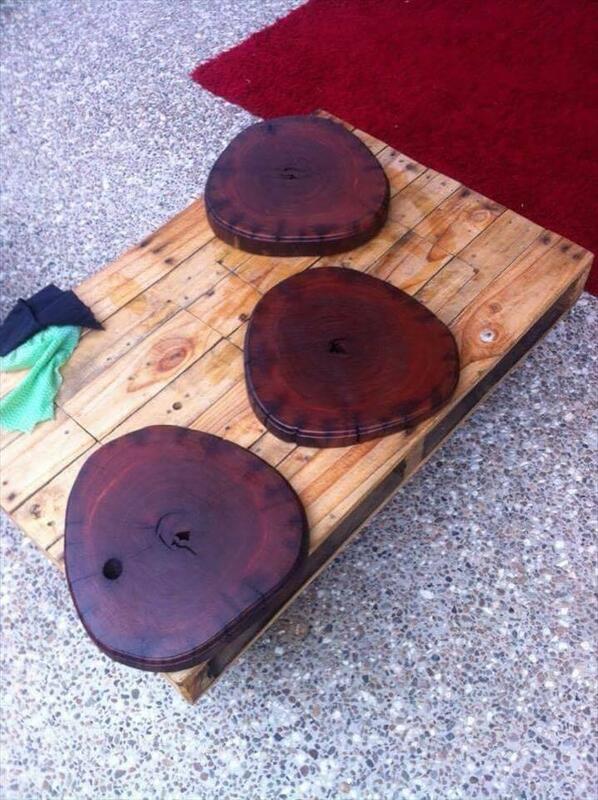 Just surround this table with couple of stools! Build the top and then finish it up with large legs! Add cross supports to legs and enjoy! Another mind-blowing design of wooden high top table! Would work great as a party table and also a vase stand in your home! Here is how beneficial it may be to build custom boxes out of pallets! 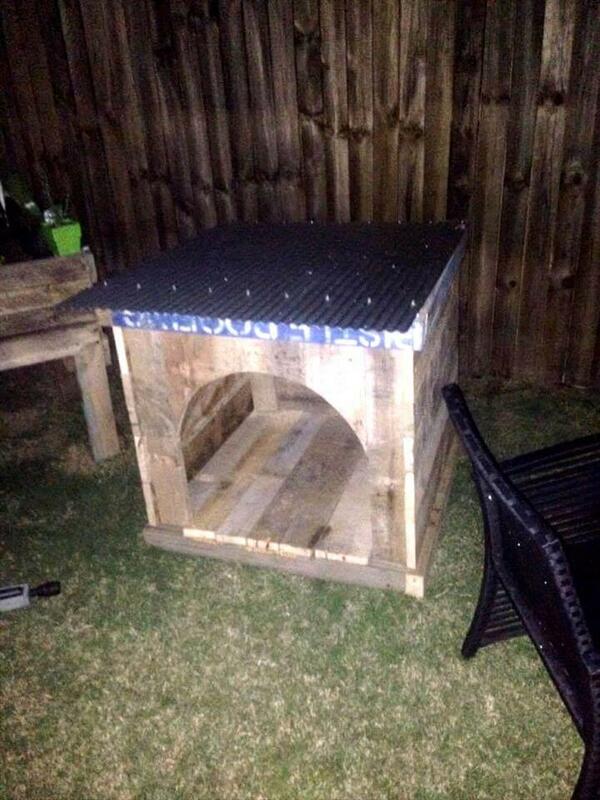 Enjoy ever low cost and stylish pet houses out of pallet-made boxes! All you need is to do little modification in the boxes like adding a custom roof and cut out an entryway! How to Turn old Pallets into Pallet Couch?